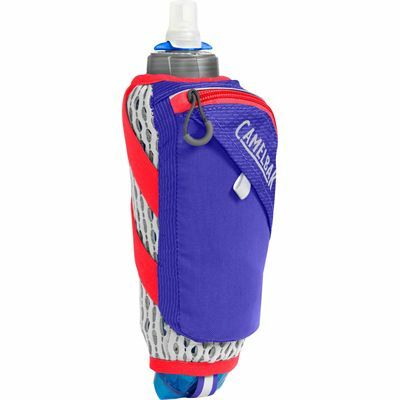 The Camelbak Ultra Handheld Chill comes with 17oz (500ml) Quick Stow Chill Flask to keep your water cold twice as long as normal bottles and features reflective details for safety during early morning or evening runs. 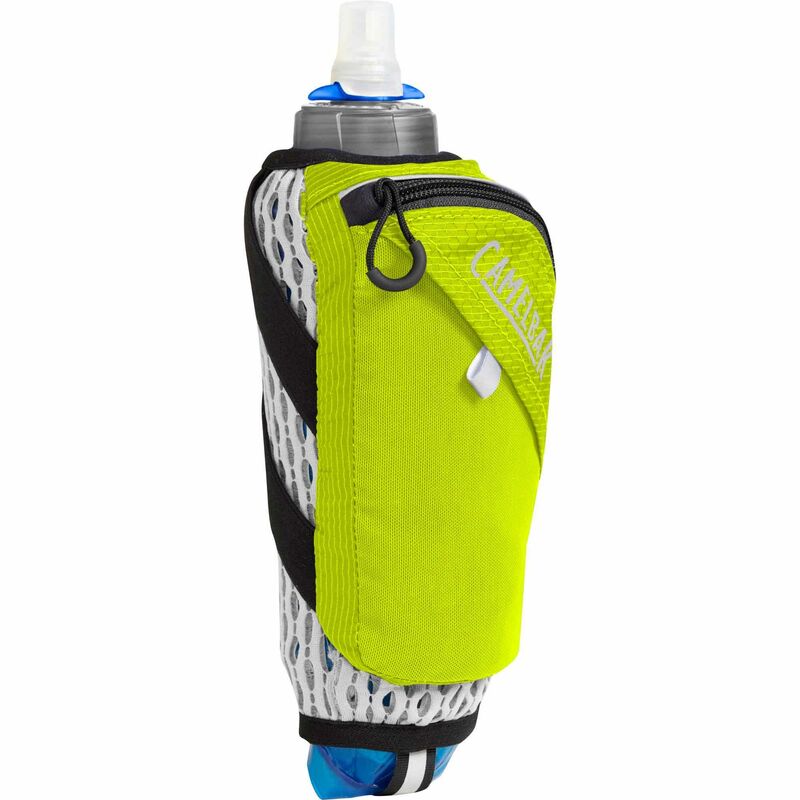 For a customized hold, there is a secure elastic strap system and the handheld offers 3D Ventilated mesh to maximize comfort and breathability. 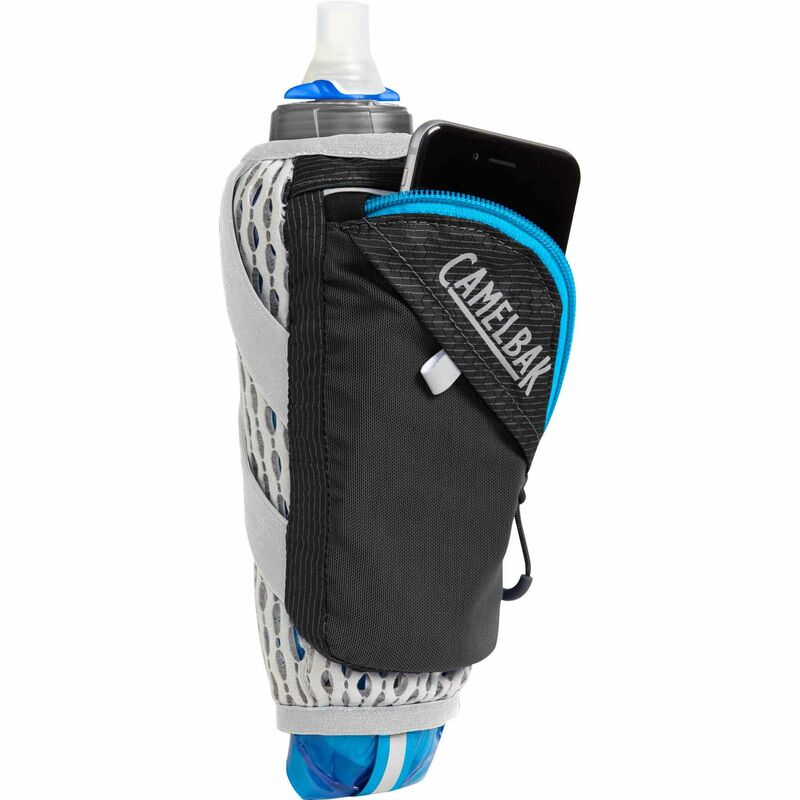 It is lightweight and functional and provides easy access to your phone thanks to a zippered phone pocket. Plus, for extra fuel, the handheld has a small stretch essentials pocket. 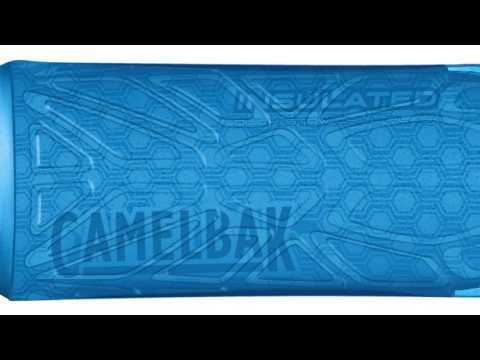 for submitting product review about Camelbak Ultra Handheld Chill SS17.